Ghosts and Spirits Tarot Deck follows the structure of traditional tarot with 22 Major Arcana cards and 56 Minor Arcana cards. Also included is a special bonus card for questions that require deeper reflection. Lisa Hunt’s booklet provides a brief synopsis of the story associated with each card. The descriptions of the ghosts and spirits are based on extensive research as well as her own interpretations. She also provides divinatory meanings for upright readings and a special five-card spread called Realm of the Spirit. 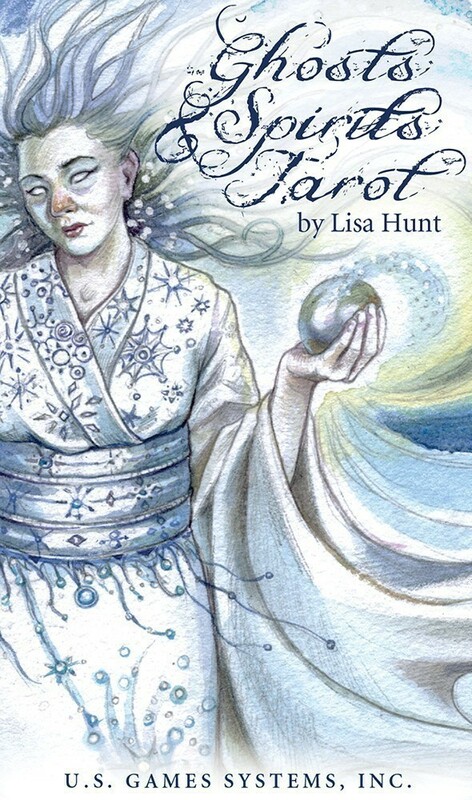 Lisa Hunt is an internationally known, award-winning tarot artist. 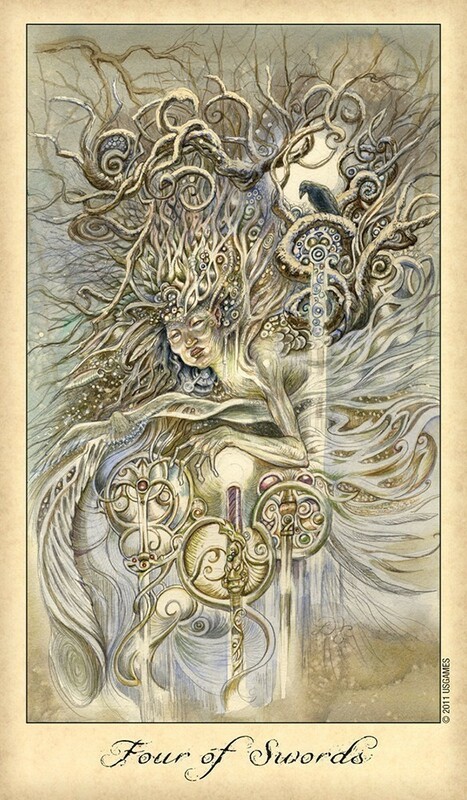 Among her most popular decks is Fantastical Creatures Tarot (published by U. S. Games Systems, Inc.) She has spent her life studying and sketching fairy tales, myths, legends and other fascinating subjects that have driven her muse. She also holds a M.A. in Interdisciplinary Studies with an emphasis on Jungian Psychology/Art & Drawing. The symbolism of the 78 traditional Rider-Waite cards is brought to life with ghostly images and spirit visitors in this new deck by tarot legend Lisa Hunt. Her lyrically edgy watercolor style is perfect to render this new cast of esoteric characters. She draws from mythology and folklore, and couples that with her memories of growing up in New England, to create these lively and ethereal interpretations of the major and minor arcanas. Ms. Hunt's fans won’t be disappointed by this latest addition to the world of tarot. Those who don't already know her world will be inspired to also explore The Fantastical Creatures Tarot. You'll discover something new in each card, every time you return to view it. And who knows what beings you'll invite into your life as you explore this other-worldly deck. I'm not exaggerating in the slightest when I tell you that I would gasp with surprise and glee with each page turn of the booklet as a treasure trove of creatures and characters were revealed. La Llorona! The Flying Dutchman! Headless Horseman! White Ladies! Each entry has a brief description and bit of context along with a divinatory meaning. The artwork is perfectly suited to the subject matter and despite the obvious darkness implied, Hunt brings beauty to most of the cards despite the specter of death that hangs around ghosts and spirits. Lisa Hunt's art never disappoints. The colors she uses in this deck are mostly subdued, soft colors, with the exception of a few cards on which the colors are stronger or more vivid (for example, the 10 of Cups). The ghosts and spirits vary in form, some being skeletons and others having the appearance of fully fleshed human beings. They all have distinct personalities. Some are depicted with living human beings or animals in the scene. Each card contains much that is worthy of contemplation. Ghosts & Spirits Tarot comes with a standard "Little White Book" that is anything but standard. In the introduction, Hunt writes about her beliefs about the spirit world, her motivation to create this deck and her hopes for its use, in a way that is nothing short of inspiring. Her card descriptions are equally evocative, and evidence of another of Hunt's talents. Hunt is a phenomenal researcher. She has illustrated each card of Ghosts & Spirits Tarot with a myth, story or legend about the spirit word. These stories come from all over the world. The Little White Book gives us enough detail of each story to understand not only the interpretation of the card, but also why Hunt chose a particular story to illustrate a particular card. Archetypal assignment tarot decks offer a great opportunity for tarot education. 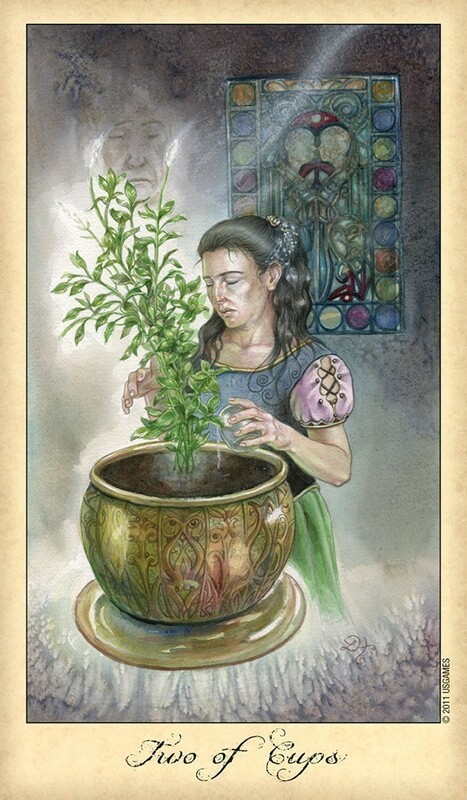 While the card images of this deck, and decks like it, do not follow traditional tarot images, they help us to understand the archetype of each card, and the archetypal nature of tarot. In this deck, we see how those archetypes are expressed by the stories told around the world about death, the afterlife, and how spirits might interact with the world of the living. Artists such as Lisa Hunt have elevated tarot art to a completely new level. This is a 79 card deck, with accompanying 61 page LWB (Little White Book). Excuse me … 79 card deck? Yes, 79 card deck. The additional card is meant to be a special bonus card for those questions that require deeper reflection. Lisa suggests that the reader allow the ghosts and spirits to talk to them, to help dissolve the barriers between conscious constraint and objective inner reflection. She goes on to say that ghosts and spirits are often messengers that are trying to tell us something, and that it is her hope that the "Ghosts and Spirits Tarot" provides a conduit for further communication and understanding. 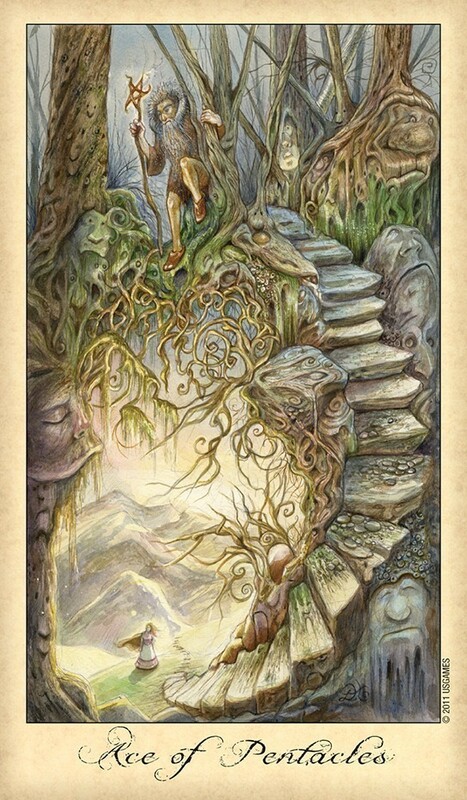 I love the extra card -- very reminiscent of the Happy Squirrel in the "Touchstone Tarot" (Kat Black) The artwork immediately draws the reader in -- it is the most extremely detailed, in depth fantasy work that I have ever seen. Anyone who has ever seen Lisa's work knows what I am talking about. Her work is haunting, to say the least! This is a very special deck that could easily be used by anyone, from any background. It is perhaps best not used with children, due to the graphic nature of the cards. However, it may also be that children, who generally do not judge, would find it easier to accept the cards than some adults would. It works well as a reading deck on its own, and could easily be used in comparative reading, or for meditation, ritual or journeying purposes. I don't think I have to say that I highly recommend this deck! As I unwrapped the package I felt an instant feeling of connection and spiritual energy with the cards. 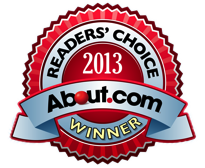 I can truly say that after handling and working with the deck it is very accurate and easy to work with. 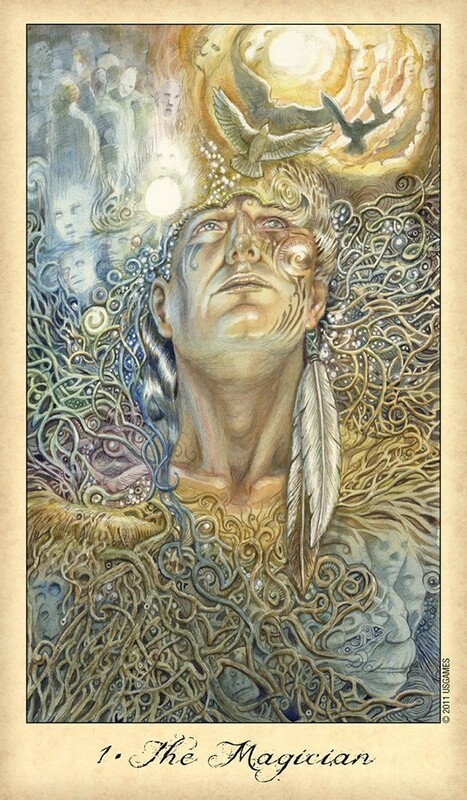 The cards themselves are truly beautiful and as I am sure others out there will also explain the spiritual energy of the cards is very powerful. I have begun to work with the cards daily in my meditation and for readings and they are truly now a part of my every day ritual. I think you will feel profoundly proud to own this deck. First I have to say that, as an author of 9 ghost story books and a professional storyteller of ghostly tales, I am very happy to have the Ghosts and Spirits Tarot! 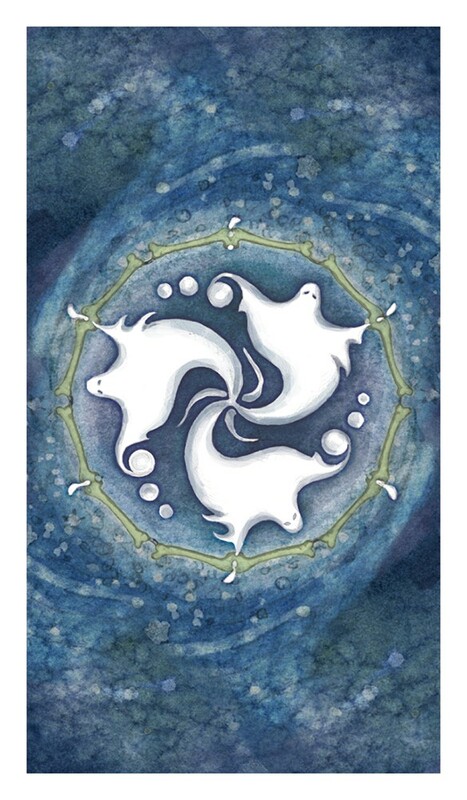 The spinning set of three white sheet ghosts on the card backs, swirl on a deep blue space. Lisa Hunt’s pencil and watercolor image process yields wonderfully subtle colors, like a sepia or blue toned lithograph. I recognize many familiar characters from the story lore of restless spirits: La Llorona, (the Nine of Swords), the Banshee (showing as the Queen of Swords), and (the Four of Cups) Davy Jones’ Locker, to name a few. But there are many more ghostly personas waiting to be discovered in the Little White Booklet. My idea of finding wisdom is being willing to face our shadow; in this tarot this is done artfully and with full intention by bringing up the ghosts of our past, opening closets to see skeletons, and facing the dark decisions in love and life that bring chaos, grief and remorse. For these very reasons, this wonderfully executed tarot deck succeeds and additionally because we are encouraged to face fears and find ourselves in the tragic narrative of many of the ghostly tales referred to in the book. The author spins around the world, drawing from diverse cultural traditions and tales, including ghostly stories from Scotland, Germany, Japan, Shakespearean England, Hawaii, Italy, the Baltic forests, the Old Testament, Viking lore…and more. That we have personal ghosts, familiar to our lives and our families, is doubtless true; but here we have a grand tour across the planet, pulling spider web strands of chilling life lessons in the forms of ghosts who appear as men, women and even dogs. Lisa Hunt, as all story re-tellers of mysterious tales, does a great service in allowing our fears to be channeled into the working of tarot. That is, I believe the ghosts themselves are honored, appeased and placated by our affirming their reality. The booklet is 62 pages and the cards measure 2 ¾ x 4 ¾ inches; the LWB gives interpretations for upright card positions only. A fun spread given in the back of the LWB is titled “Realm of the Spirits” a five-card spread that encompasses: Spirit of the Present, Ghosts of the Past, What Frightens You, What Lifts Your Spirits and Spirit of the Future. To paraphrase the cartoon character Pogo, “We have met the spirits and they are us.” I whole-heartedly recommend the purchase and frequent use of the Ghosts and Spirits Tarot. Anyone familiar with Lisa's artwork knows the amount of detail that is immediately seen and all the additional hidden details; all done in a blended and flowing natural way. Knowing this makes you want to just go immediately to the cards in anxious excitement to see what she has created this time. What she has somehow managed to do with Ghosts and Spirits Tarot is outdo herself with this amazing deck. For the most part I would consider this a "darker" deck; however Lisa Hunt has the most astonishing way of making even the darkest of the cards not be horrifying. This deck is different in so many ways; one of them being the little white book which is 61 pages. At first appearance it looks like it will be just like every other LWB, consisting of the cards and their meanings, but it's not and you need to refer to it with this deck. Lisa has gone above and beyond by including the individual spirit/ghost that is depicted in each card and has given brief background for each one. She has a way of writing about them that gives the important information needed while at the same time keeping it simple. This book is an exception to my rule of putting the LWB aside. You will want to read it with this deck because in lies deeper meaning and understanding for each card and it's Ghost or Spirit. 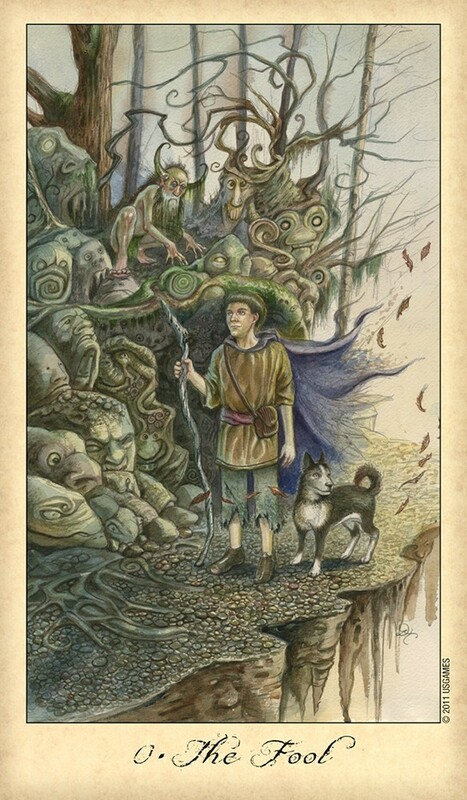 The first card is of course The Fool; Lisa's wooded detail depicted in it had me think of the book "Where The Wild Things Are". Since I have an attraction to fairies and angels it is no wonder that The Empress was the first of the majors that I paused at in my rush to see them all. The Empress is an angel who is standing in front of a little girl who has her back to us. The pastel colors used have a very soothing and peaceful feel. You immediately get a "you are protected" feeling coming off The Empress, which as explained in the LWB, The Empress is in fact the Guardian Spirit. The Lovers was the next major that made me pause, with it's different than the norm portrayal. The Lovers is depicted as a "darker" card, not as a lighter, happier relationship that we tend to see in other decks. In this image you see a black-cloaked figure that made me think, " this is the grim reaper riding on a horse with a female behind him holding onto him." This was the first card that made me have a look at the booklet and see what it had to say. The Lovers depicts the tragedy of love through it's spirit name that it is based on, Specter Bridegroom, "Joyful reunions dissolve into tragedy as the real identity of the lover-turned-ghost is discovered", is a sentence taken from the LWB. 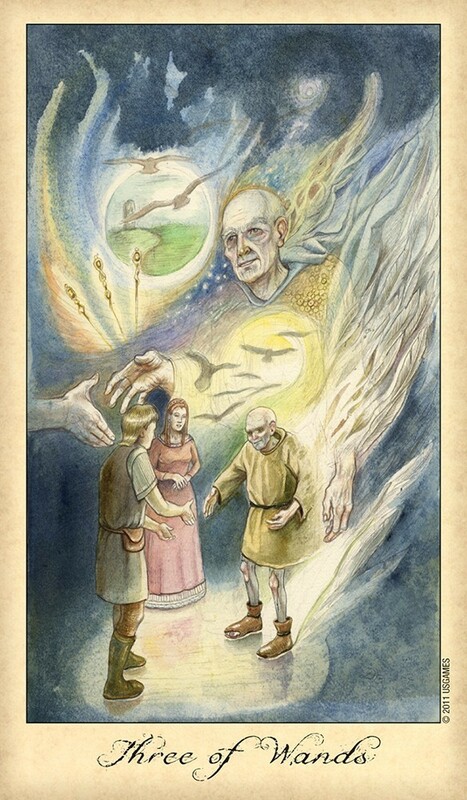 This is just one example of the different view depicted in the cards of Ghosts and Spirits Tarot. The differences of this deck do not stop at the images. Two of the Major Arcana names have been changed. The Hierophant is The High Priest, and The Devil is titled Chains; Strength remains 8 and Justice 11 like the Rider Waite. The suits are also the traditional wands, swords, cups and pentacles. There is also one last and final additional card, making this deck 79 cards. Lisa states that this bonus card is "for questions that require deeper reflection." She mentions it in the Introduction and leaves it for each person to reflect deeper for themselves whenever it comes out in a reading. This deck is for anyone to use whether they are beginners or are experienced readers. I can't emphasis enough that you'll want to use the little white booklet to familiarize yourself with the Ghosts and Spirits; not only who they are but what personal story they each tell.